Chris Mayo is a London based comedian, actor and writer. With over 7 years experience, Chris regularly performs at some of the biggest comedy clubs up and down the country, including Up The Creek, Off The Kerb, The 99 Club, Just The Tonic, The Comedy Cafe, The Ha Ha Club and Jon Keyes, and has performed alongside some of the most respect stand ups in the industry including Stewart Lee, Daniel Kitson, Lee Mack, Rufus Hound, Stephen Merchant, Russell Kane, Greg Davies, Kevin Eldon, Shappi Khorsandi, Josh Widdicombe, Arthur Smith, Tony Law and lots more. A versatile comic, Chris is in much demand as a compere and regularly performs opening / closing 20 and 30 minute sets in theatres, comedy clubs, arts centres, pubs, student gigs and more. Chris has written and performed two solo stand up shows, which he has performed to critical acclaim and packed audiences at The Edinburgh Festival, Leicester Comedy Festival, Brighton Fringe Festival and various other solo dates across the UK. 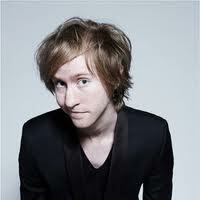 Chris runs and is resident MC of the hugely popular “Comedy Bar Islington” night in London.